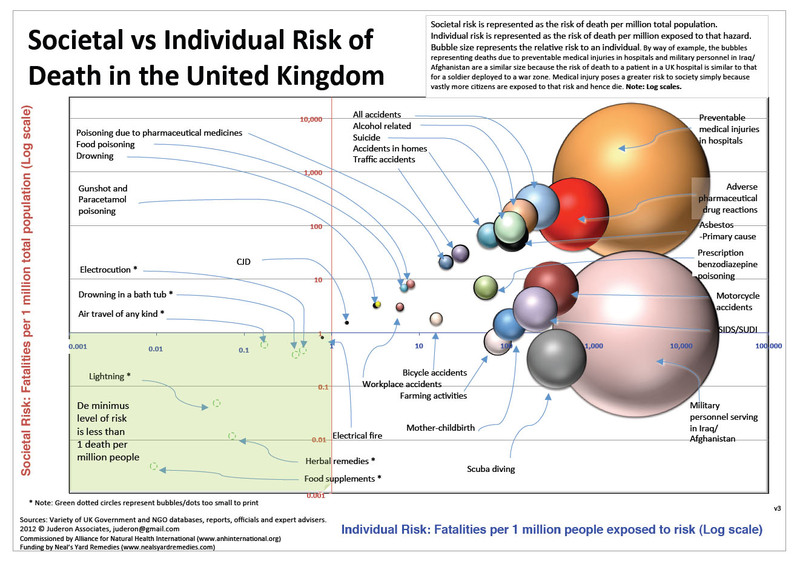 Both food supplements and herbal remedies are the ‘supersafe’ substance regularly consumed by UK citizens. It means risk of death from their consumption is less than 1 in 10 million, according to a research from the Alliance for Natural Health International, the UK-based international campaign group. “These figures tell us not only what activities an individual is most or least likely to die from, but also what the relative risks of various activities are to society as a whole. It puts some perspective on the actual risk of death posed by food supplements and herbal remedies at a time when governments are cracking down because they tell us they’re dangerous,” said ANH-Intl executive and scientific director, Robert Verkerk PhD. Dr.Verkerk said, “When compared with the risk of taking food supplements, an individual is around 900 times more likely to die from food poisoning and nearly 300,000 times more likely to die from a preventable medical injury during a spell in a UK hospital.” Governments justify the increasingly elaborate and restrictive new laws affecting natural health products on grounds of public safety. It also limits consumer access to food supplements and herbal remedies. The manufactures of dietary supplements take the responsibility to see that the products they make are standardized and match the descriptions on their labels. Besides, it is always safe to talk with your doctor about the type and amount of each supplement you intend to take. Source: Variety of UK Government and NGO databases, reports, officials and expert advisers.